Title, First Name, Surname, Email Address, Mobile Number, Fax Number, Username, Password. Additional information may from time to time be collected via online forms throughout our website. By completing these forms, the user accepts the policies as defined in this document. 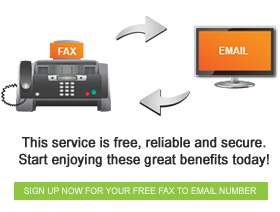 All the information gathered is used to personally identify users that subscribe to and utilise the Fax Effects (Pty) Ltd services. Fax Effects (Pty) Ltd will however provide you with an option within every communication to opt out of receiving any communications of this nature. From time to time, Fax Effects (Pty) Ltd will collect certain personal information about our users. In most cases, we collect this information to ensure network integrity and that we continue to provide you with the most relevant content and best possible service that suits your needs. In some cases, we are required by law to collect personal information about users. Except where law requires otherwise, we undertake to protect the confidentiality of such data. The users have a right to access the personal data held about them. Users can access this data by logging into the system using the username and password provided upon registration. Due to the nature of our business, all fax communication is archived for a period of 60 months. This information is only accessible by the user, unless Fax Effects (Pty) Ltd is legally compelled to retrieve the said documents. It is therefore the users’ responsibility to ensure the safeguard and complexity of their username and password. Fax Effects (Pty) Ltd will not be held liable for documents that are retrieved due to users’ negligence and lack of personal security measures. Virtual Card Services process all credit card transactions on behalf of Fax Effects (Pty) Ltd. All credit card transactions are 128 bit Secure Socket Layers (SSL) encrypted. The company registration documents and the site’s registered domain name are checked and verified by Thawte, ensuring the cardholder and merchant that nobody can impersonate VCS to obtain confidential information. The expedited rules of the Arbitration Foundation of South Africa may be downloaded from the following website: http://www.arbitration.co.za.